PantherMedia unveiled its new platform this month with more images, more products and a new user friendly platform for both stock photo buyers and photographers. Panthermedia celebrated their 13 million images, a library that puts them as one of the larger stock photography agencies with a fresh look and buying options. 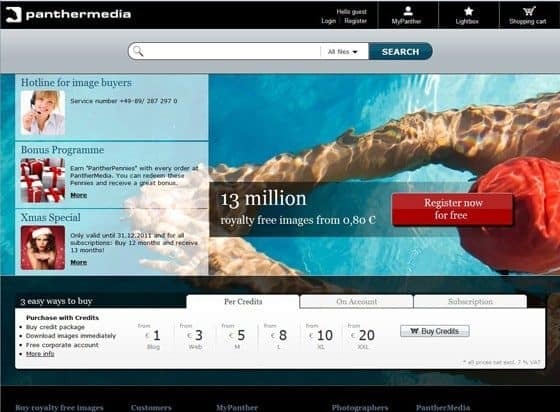 Stock photo buyers can now buy using the PatherMedia invoice system, credit option or subscription. In November 2011, PantherMedia went from a library of 3 million images to 13 million images. The library now includes royalty free and extended rights stock photos, vectors and illustrations. This increase prompted a new search and navigation system for stock photo buyers. PantherMedia got a complete facelift with new functions so stock photography buyers can find the perfect image faster. The new design focuses on the essential information for the user; the current special offer, the free image of the week, registration and their toll free number for customer service inquiries. The navigation has been completely restructured, giving the stock photo buyer a clear overview of their account. In the upper right corner, the customer sees their credit balance, subscription balance and available downloads plus access to the shopping cart and lighboxes. The image preview has been redesigned to help the customer to proceed his search or to download the image instantly. There are many integrated search functions, e.g. similar images, search for the same model and the like. At the bottom of the website the customer finds a more comprehensive navigation pane for all relevant information about the products and the company. This detailed information pane has a buyer find information fast when they need answers, stock photos, stock vectors or customer service support. The extended search is now on the left hand side of the screen to give easier access to extended search filters. Search filters include but are not limited to color, number of people and the new ethnicity filter for international stock photo buyers and designers. The new design has come with 7 new additional products not offered by PantherMedia. Review their new look and their new products as both contribute the re-launch success. You can now buy vectors and illustrations in eps-format at PantherMedia. To speed up the search, filter search results by vectors and illustrations only. Stock photo buyers can now pick & mix from four extended rights. The four extended rights options are: press release license, corporate license, merchandising license and the template license. Buyers can purchase rights individually or they can buy an all-in-one package that includes all extended rights options for a discounted rate. As you can image when reading the name, the customer purchases the right to distribute images as part of press releases. The corporate license gives customers the right to use the images in multiple, but affiliated companies of a corporation. 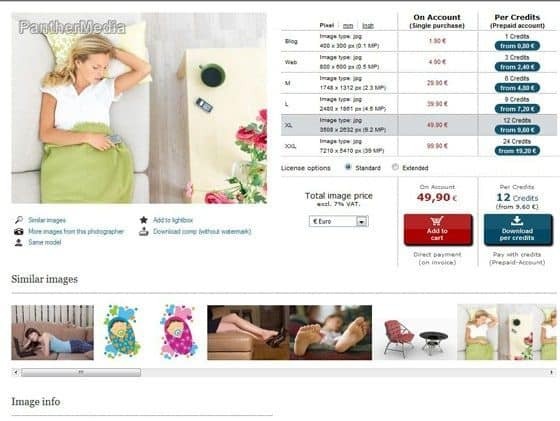 The merchandising license contains the right to use images on commercial merchandising products of all kinds in particular interactive and multimedia products such as computer games for example. With the template license, designers have the right to use images within templates, such as web- or email-templates. PantherMedia is offering two deals for Stock Photo Secrets readers. Take advantage of this ‘renovation deal' to gain more savings on your stock photo needs. Deal #1 Buy an annual subscription and get one month for free. Buy a 12 month subscription and get 13 months! This is a savings of over $199 usd you when take advantage of this deal. Register now for PantherMedia as this offer is only valid until the 31st of December. Deal #2 Test out PantherMedia today and download 3 free images until 31th January 2012. 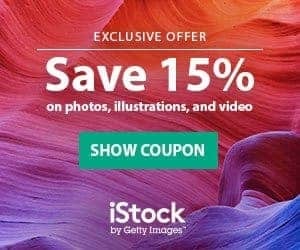 Stock Photo Secrets readers can use the promo code G036J-9HHFA to benefit from this deal. Sign up at Panthermedia today to get 3 free images now! Want to have a look at the new PantherMedia website? 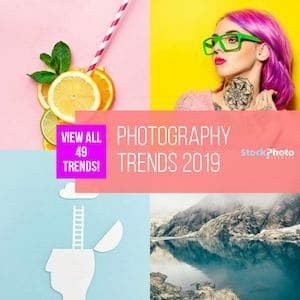 Check out their new design, products and image library to determine for yourself if PantherMedia has everything you are looking for in a stock photo agency.